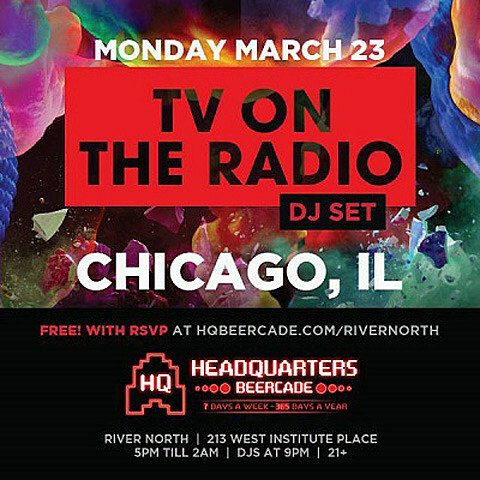 Monday (March 23) is going to be a hell of day to be a TV On the Radio fan. 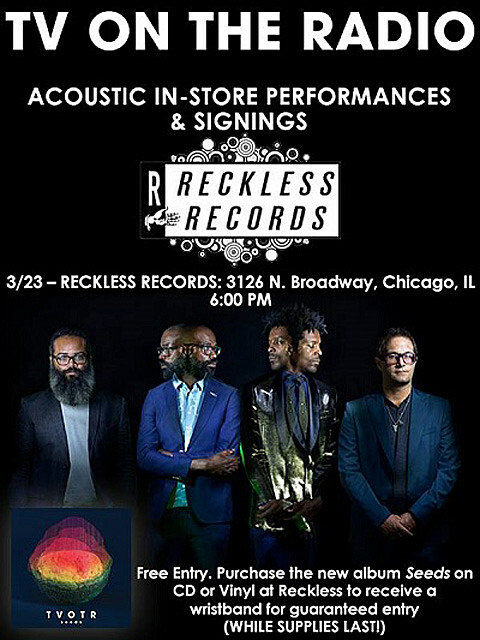 The band will be playing an in-store acoustic set at the Reckless Records on Broadway at 6 PM before their a sold-out show at the Metro at 9 PM, followed by a DJ set at the River North Headquarters. The DJ set is free with an RSVP, and $5 dollars without (no +1s). Buying the band’s new record “Seeds” at Reckless also guarantees you a spot at the in-store.